PVC Cable Glands are manufactured from PVC, Polyamide, Plastic or any material composition as per custom specification. The manufactured range of PVC Cable Glands are compiled to meet the EN60079-0:2009 testing requirements. Standard range of PVC cable glands are available with neoprene ring seal. 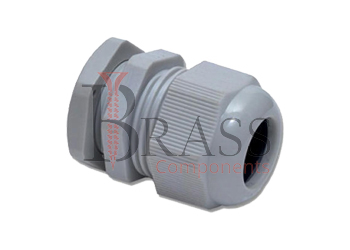 PVC Cable Glands are available with NPT, PG or Metric threads. 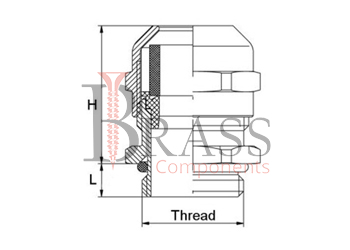 They are easy to install in both low and high temperature environments. Based on variety of application, PVC Cable Glands are available with different types of Cable Gland Accessories including Lock Nuts, PVC Shrouds, Neoprene Ring, Serrated Washer, Earth Tag, Reducer, Adapter and more. Available with IP66, IP67 and IP68 Ingress Protection class. CE, UL and cUL Approved. Provide corrosion protection in Hazardous Location area. Provide good strain relief and water tight seal for cables. Available in wide clamping range. Ensure safe, reliable and durable functioning in wide range of applications. Provide additional protection to weather. Universally used with any type of enclosure and cable series. For use in an extended temperature range. Widely used in petrochemical, energy, production, machine construction, automotive, oil and gas and other Industries. We manufacture PVC Cable Glands as per Custom Specification and export in France, Italy, Switzerland, Poland, Greece, UK and other European Countries. For more Information, Please Contact Us or Inquiry Now.